A collection of various character spritesheets for creating a 2D top-down, RPG, tower defense, or similar game. — 2 heroes: Assassin and Viking. 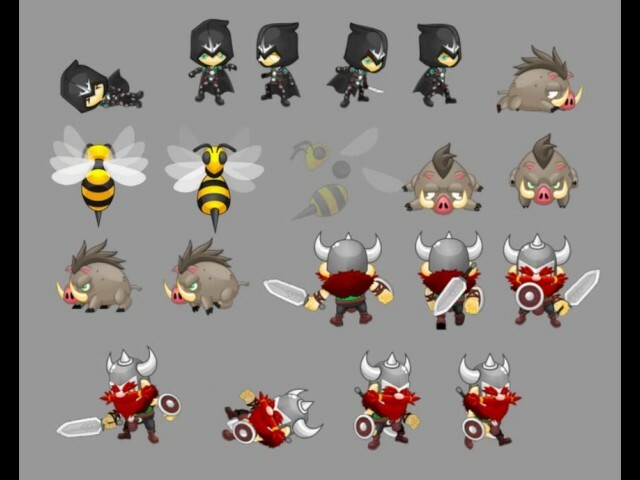 — 2 enemies: Giant Bee and Boar.